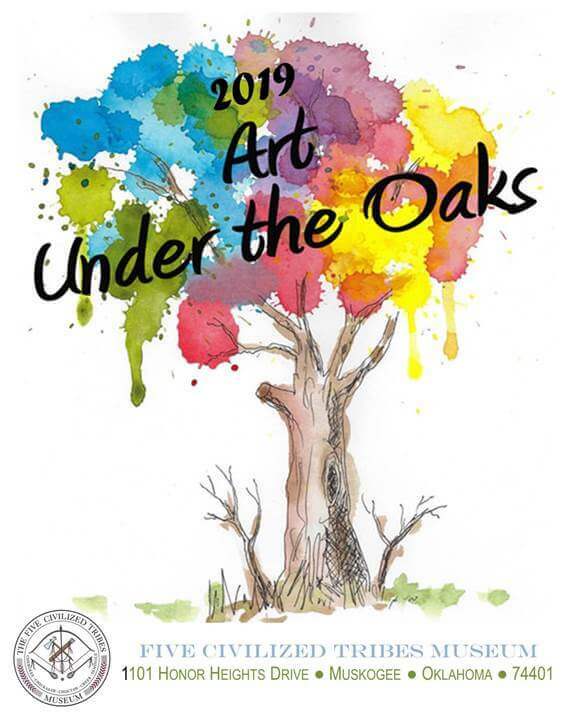 The Five Civilized Tribes Museum presents the 2019 Art Under the Oaks Competitive Art Show. Five Tribe artists compete in various categories during this annual event. View amazing paintings, drawings, basketry, beadwork, sculpture, jewelry, textiles and cultural items handmade by these talented artists. Each piece of work in this exhibit will be for sale, so you have a chance to walk away with your favorite piece of art from this show! Don’t miss this opportunity to support Native art and artists, local business and our community.